Photos courtesy of Brenda Carpenter Photography unless noted. Shopping at Devon never disappoints! 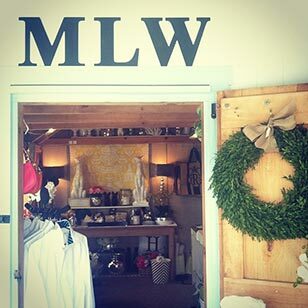 ML Wilcox rocks one of the most popular retail booths this year. Photo courtesy of AroundMainLine.com’s Instagram. 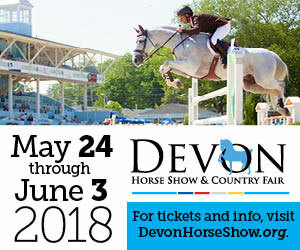 The Devon Horse Show and Country Fair begins on May 22, 2014 with the Country Fair open daily offering fantastic food, great shopping, and fun and games for the family. As it has since 1919, proceeds of the Devon Country Fair benefit Bryn Mawr Hospital. Food offerings range from tasty fair staples, hot dogs, hamburgers and pizza, to gourmet in the Garden Café. 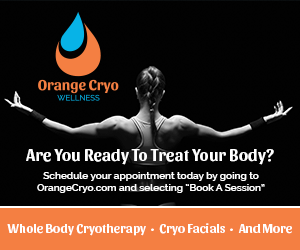 If you are looking for something healthy, fresh made-to order salads, grilled chicken sandwiches, fresh fruit, and yogurt parfaits are just a few of the options available. The Tea Cart is the place to go for pastries and those oh-so-good tea sandwiches. Looking for Lemon Sticks and the classic Devon Fudge? Stop by the Candy Booth where you’ll also find dozens of other varieties of candy, both new and nostalgic. There are over forty boutiques vendors in the Devon Country Fair, many of which can only be found at the Fair. Unique vendors offer jewelry, clothing, and accessories for adults and children, toys, home decor, leather goods, and items for four legged friends, both equine and canine. The array of Devon merchandise at the Souvenir booth is not to be missed. Midway is the place to entertain the kids with rides and games, cotton candy, and fresh lemonade. Photo courtesy of AroundMainLine.com’s Instagram. 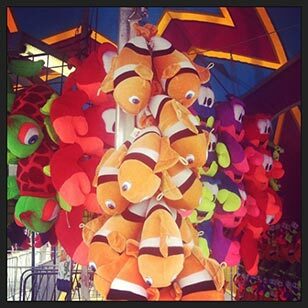 Midway is the place to entertain the kids with rides and games, cotton candy, and fresh lemonade. The Devon Country Fair will once again offer a full schedule of activities for the whole family. Three Family Days will be offered; Thursday, May 22, Tuesday, May 27 and Sunday, June 1. Country Fair food booths will offer special savings. The Soda and Ice Cream Booth will have buy one get one free on popcorn and two beverages for $3. The Hamburger booth will offer the Devon Special, hamburger or cheeseburger and the delectable, hand cut Devon fries, for $1 off the regular price. The Hot Dog Booth will have a buy one get one deal on hot dogs. The Midway will offer a ½ priced wristband, good for rides all day. On Memorial Day, Monday, May 26, the Garden Café will feature an all-American BBQ menu. We will be featuring triple citrus brined chicken, smoked pork shoulder and smoked pork ribs, dry rubbed Memphis style or with Oscar’s “secret” signature cherry cola BBQ sauce. Back by popular demand will be our famous “Oyster Night” on Friday, May 30th. This year our oyster specialist will be local purveyor, Andrew Gadaleto of West Chester. His shop in West Chester is a well-known resource for fresh and tasty oysters. We will feature Blue Point and Beau Soleil oysters “straight up”, or served with shaved pomegranate infused vodka ice or a tequila lime jalapeno mignonette. Tuesday brings the ever popular Back Barn Tours. These guided tours will run from 3–6pm and offer an insider’s glimpse at the running of the horse show. Learn about the different disciplines offered at Devon, Hunter/Jumper, Saddlebred and Driving, as well as the role of the farrier, the equine medical team and more. Hats By Katie is Devon’s official milliner and an AML fav. Photo courtesy of AroundMainLine.com’s instagram. Wednesday is Ladies Day! One of the Devon Country Fair’s most time honored traditions is jammed packed with offerings for the perfect girls’ day out. 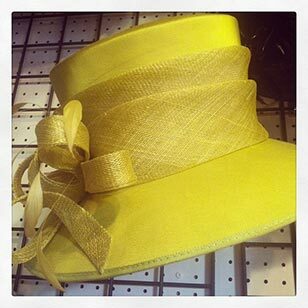 Registration for the Hat Contest and Champagne Reception begins at 9:30am with the main event beginning at 10:30am. The cost at the door is $60 and includes the contest, champagne and hor d’oeuvres and a “Passport to Elegance” with tickets to enter to win prizes offered at all Country Fair boutique vendors. Those who visit 35 of the boutiques will be entered in a grand prize drawing for a gift basket valued at over $500. The Country Fair booths will also offer something a little special; Sodas and Ice Cream will have a Mimosa Pops specially made by MomPops, Hamburgers will offer tasty fried vegetables, Hot Dogs and Salads will serve your choice of Chicken, Tuna or Egg Salad on a bed of lettuce in a special Devon container and the Garden Café will also be serving specially created salads in a Devon container. The Souvenir Booth will offer 20% off a single item. Wrapping up the eleven days of non-stop fun, Sunday June 1 is Children’s Day! A variety of activities are on tap for the little ones including the Itty Bitty Hat Parade, face painting, crafts, and MORE FM will be on site adding to the fun! The Country Fair’s Flower Sale will begin at 2pm. This is a wonderful opportunity to purchase the beautiful plants and flowers that have decorated the grounds. You can purchase plant individually, or the gorgeous Devon Boxes. 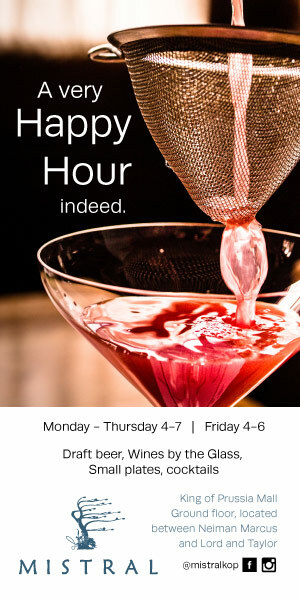 It’s a great value, so make sure you get there early! 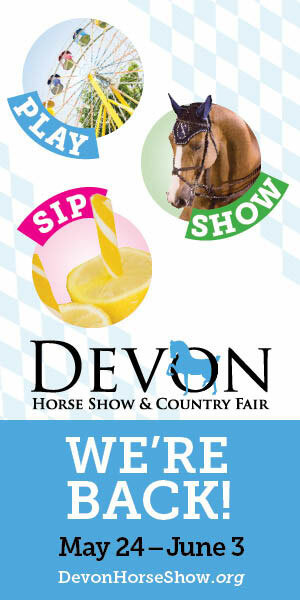 The Devon Horse Show and Country Fair began in 1896 as a one day horse show and has grown into the largest and oldest multi-discipline outdoor horse show in the country. Since 1919, proceeds of the Devon Country Fair have benefitted Bryn Mawr Hospital. To date, nearly $15 million dollars has been donated to the hospital. When adjusted for inflation, that is over $50 million dollars. The Devon Country Fair is run entirely by volunteers.